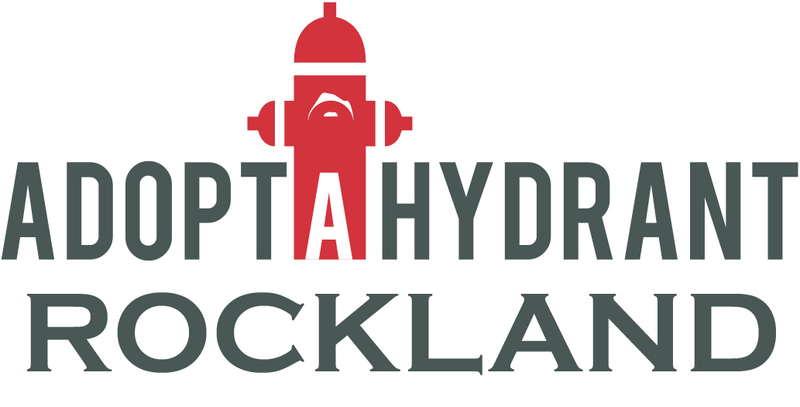 The Rockland Fire Department has partnered with Hy-Viz Inc.to bring hydrant marker to our community! A FIVE foot tall fiberglass rod -strong yet flexible. FOUR Large Bands of Engineer Grade banding. Stainless steel rust proof mount. - The hydrant markers will NEVER rust! These highly reflective hydrant markers will allow hydrants to be visible day or night, even from a great distance. and tree and shrub obstructed hydrants during the warmer months, leaf and leaf bag pilings in the Autumn - even behind illegally parked cars! Best of all, your adopted hydrant will look great year after year! And we need your help by "Adopting" a Hydrant - Its one of the best and easiest ways to help you, your neighbors, your property and possibly the health and safety of you and your loved ones in times of emergency! - Minutes spent looking for a buried hydrant can cost lives! A resident or business will purchase a hydrant marker for $20.00 by either sending a check or money order or coming to the fire stationand completing a brief Adopt A Hydrant Request Form. You can also use a secure online payment link through PayPal (below). * Please make checks payable to "Town of Rockland "
You can also change the quantity when ordering if you want to purchase more than one. Don't forget to complete the Adopt A Hydrant Request Form and contact us when you purchase using PayPal, so we can get your information. The resident or business will provide us with the nearest street address (i.e.. in front of 123 Main Street) of the hydrant (or hydrants!) they wish to adopt at the time payment is sent. Once a group of orders have been placed, the Fire Department will locate the adopted hydrants and place the markers on them. It's helpful if residents could keep their hydrants accessible year-round. Snow in the winter and shrub overgrowth in the summer can hamper quick access in an emergency where minutes, if not seconds, count!